KINGSTON–Josephine Mandamin warms you with her grandmotherly smile and speaks in soft aboriginal tones that lull you into agreement, even as she conks you on the head. Mandamin, an Anishinabe elder from Thunder Bay, has walked 17,000 kilometres to raise awareness about environmental collapse. Mandamin grew up on Manitoulin Island, eating fresh fish daily and drinking straight from Georgian Bay. During her lifetime, she has seen the Great Lakes nearly ruined. The fish have been killed by invasive species, the harbours poisoned, and now the water is evaporating because of global warming. In 2005, more than 60 scientists agreed to a report that said the Great Lakes ecosystem so overstressed that it's nearing "irreversible" collapse. Since the lakes provide drinking water to 35,000,000 people, you'd think their health would be a public issue. Yet area media is basically silent. In 2003, Mandamin was "moved by the spirits" to speak out for the Great Lakes, s o she picked up her copper pail and start walking. She decided to circle the lakes and tell people that "the water is sick ... and people need to really fight for that water, to speak for that water, to love that water." Every spring since, Mandamin and a small band of followers have walked around one of the lakes. Their mission will end where the lakes' water pours into the Atlantic Ocean. 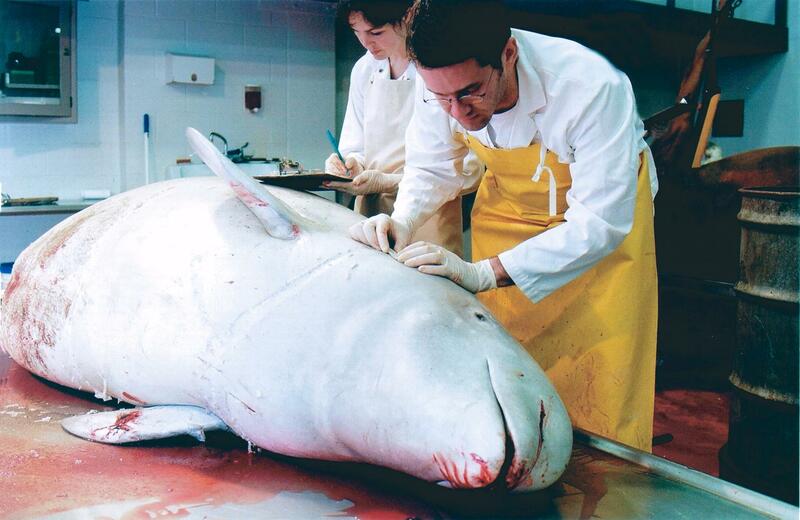 (That water carries so much poison that 25% of male beluga whales in the Gulf of St. Lawrence have cancer). One place Josephine will stop is on Akwesasne reserve. 40 years ago, Akwesasne was known for farms and fishery that had thrived for at least 3,000 years. It had been a pillar of the legendary Iroquois Confederacy. After the 1930s depression, the fisherman and farmers were ruined by industries along the St. Lawrence Seaway. Domtar Paper and General Motors poisoned the fish with mercury and PCBs. Alcoa pumped so much fluoride into the air that cows' teeth grew brittle and broke, and they died. Pollution caused the farms to go bust. Canada has about 800 outstanding native land claims for 75% of its land. Urbanites view those lands as trackless expanse. Resource companies see them as a storehouse. Rural First Nations, who call the lands home, are protecting it from a well-founded premonition of apocalypse. These fights are often vicious, bloody, and inconvenient. Consider Haida Gwaii, the B.C. archipelago often called "Canada's Galapagos." Its Sitka spruce take 800 years to grow 90 metres. Paper companies were furiously felling these giant trees until the Haida – whose culture was built of cedar and spruce – set up blockades. So began a drama that raged on muddy roads for decades and ultimately brought the islands' two communities – native and non-native – together. But these struggles are not undertaken lightly, and some native communities don't resort to blockades. Doing nothing, however, is not an option in Iroquois communities bound by their nation's Great Law. The Great Law dictates that every action be weighed for its impact on the next seven generations. That's a living truth for Josephine Mandamin. "My third great-grandchild will be born soon," she says. "If I live long enough, maybe that child will have a child... I may see five generations before I die." So, should you be driving along Canada's roads and spot an old lady carrying a brass bucket, ask not for whom she carries that water. She carries it for us all.